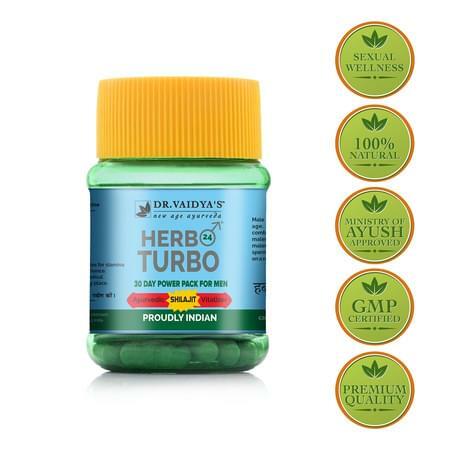 Herbo24Turbo combines the unique properties of 21 herbs to improve vim, vigor and vitality in males. Combines the unique properties of 21 herbs to improve vim, vigor and vitality in males. It has proven very efficient in building up stamina and lipido in males as well as improving low spermatic counts and the motility of sperms. This product has proven very effective in building up stamina and libido in males as well as improving low spermatic counts and the motility of sperms.To be used for 6 weeks followed by a gap of 15 days is the recommended use of Herbo 24 Turbo.